While not exactly a full IoT solution; I felt my sweat was worth posting about. 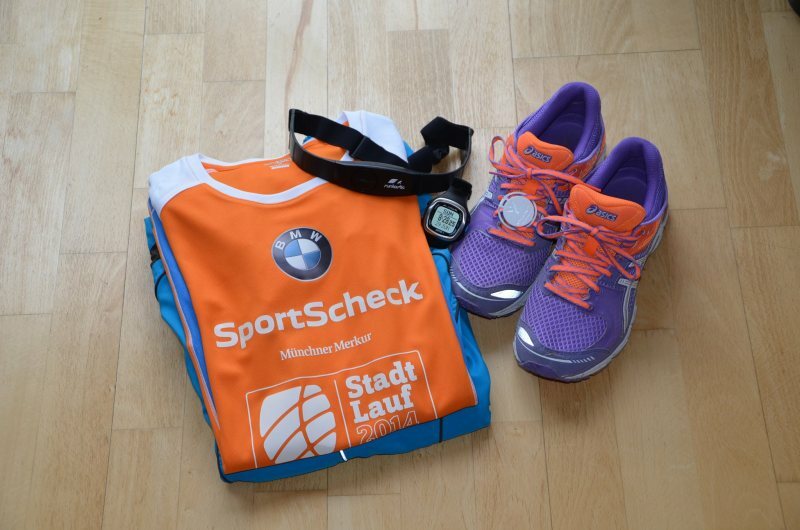 SportScheck host a number of Stadtlauf (city running) events and on 29 June 2014, I pulled myself together and participated (German) in the 10km portion of the event schedule. For a few years now, they have been using an RFID sensor (attached to your shoe) to measure the time and take a photo of participants activated on crossing the start line and finish line. A number of runners were using various wearable technologies to monitor their heart rate, blood pressure and other vital measurements in addition to the organizer provided sensors. It doesn't help that I simply neglected to train during the whole year either but the positive side was that even after that I was able to beat my previous time by thirty-one seconds. At 183cm and weighing just over 105kg - running 10km is a challenge I crazily accepted. I spent the week trying to explain the concept of Internet of Things to the friend of mine hosting my stay - who simply couldn't get why technology like this was needed (smart toilets, homes et al) and it was only until we started running when the "oh yeah" moment kicked in. Let's review this one year from now - see if I motivate myself to actually do some training.